Our 2019 GCC Roadshow has begun. Our first event was held on 5th February in Duqm, Oman. Mounib Hatab, Senior Vice President, Commercial, Hassan Darwich, Global Business Development Senior Manager and Omar Al-Bahri, Country Sales Manager were joined by 60 engineers from a number of different companies, including the Public Authority for Electricity & Water (PAEW), the Special Economic Zone Authority of Duqm (SEZAD) and Técnicas Reunidas, Saipem, MARAFIQ, Oman. The Future Pipe Industries team presented our latest technologies and innovations, especially those for the Oil & Gas sector. 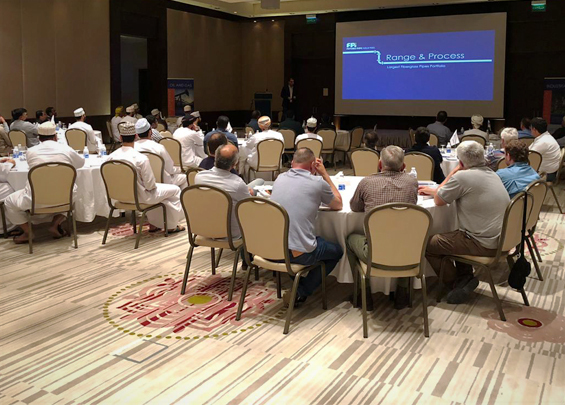 Feedback from the event was very positive with participants leaving with a greater understanding of the fiberglass market, the range of products we offer and the solutions we provide, including engineering services, project management and field services.